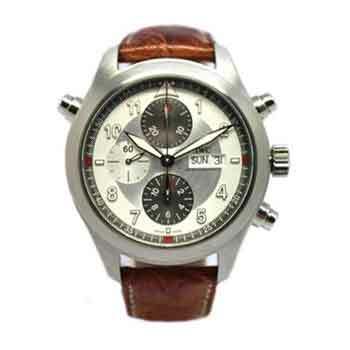 IWC Spitfire Double Chronograph in stainless steel. 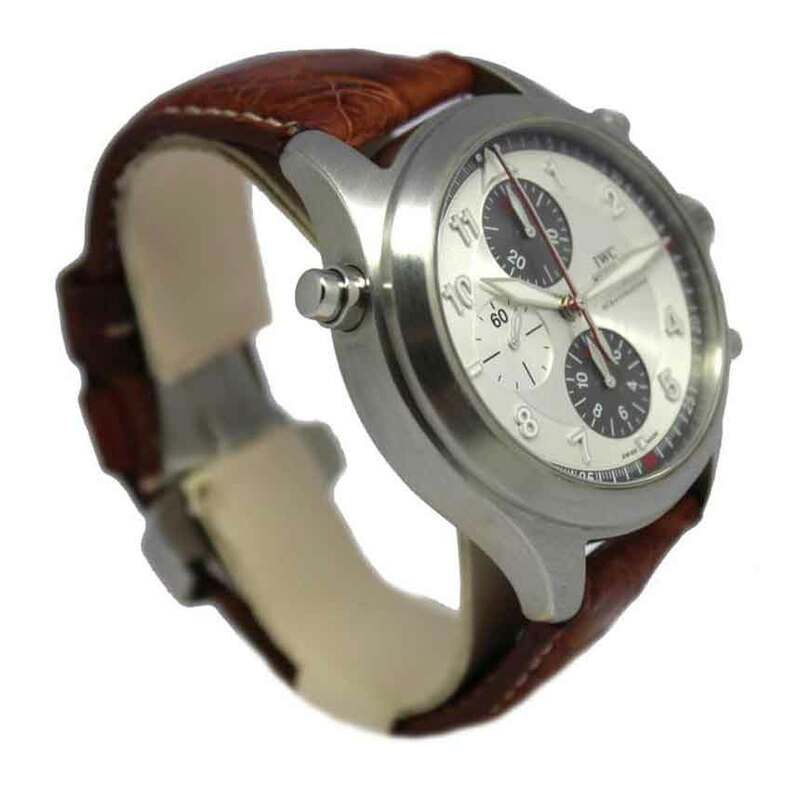 Silver gray dial with Arabic numeral hour markers. 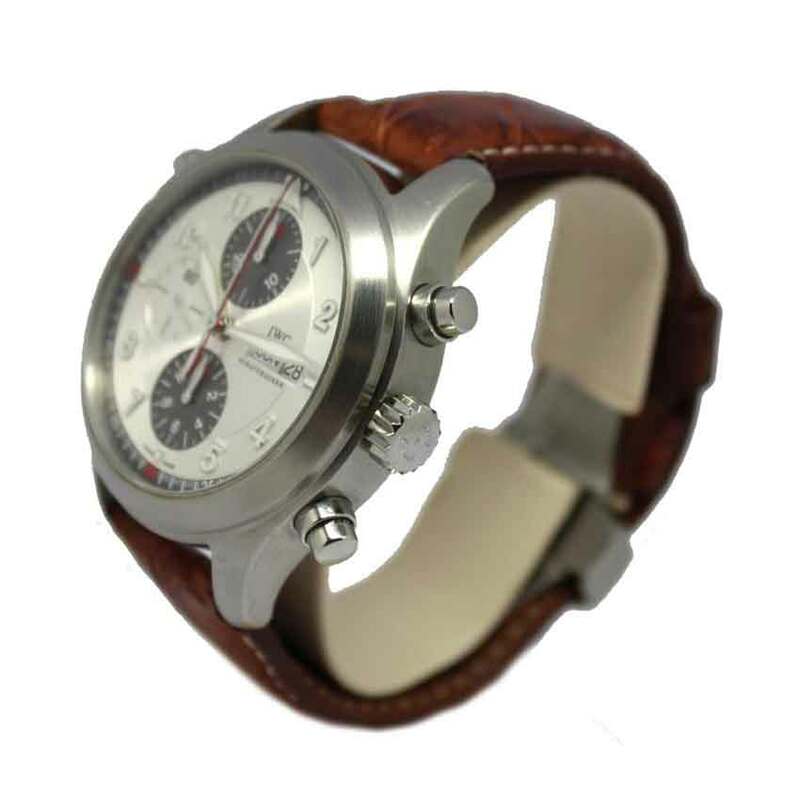 Brown leather strap with stainless steel deployment buckle.